BeejiveIM Lands on Android Market, For $9.99? If anyone has an extra $10 laying around and loves to IM their friends through their phone, then you have a new option. 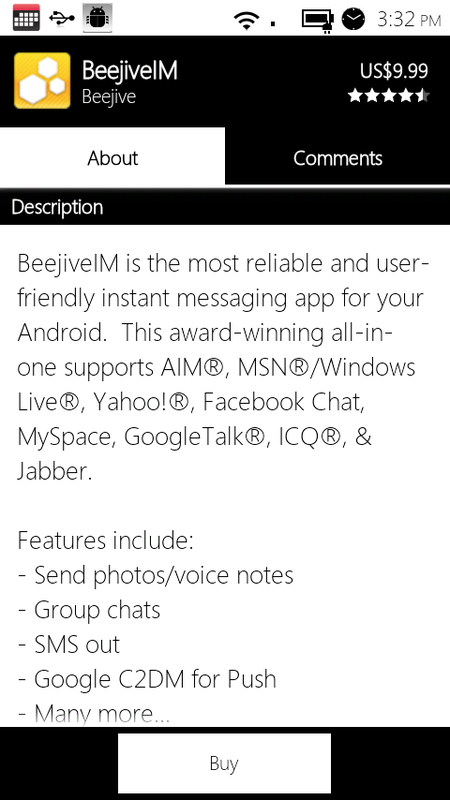 BeejiveIM, which became famous on the Blackberry is now available on Android for a not-so-minimal price. I’d list out the features, pros/cons, but I’m not the IM’ing machine that many of you are, so I’m going to ask for reader input on this one. Plus, we have Trillian for free, and it’s amazing.